I’ll make this quick, I’ve been on a book reading frenzy! Unfortunately, mostly just the reading part and not near enough of the reviewing. I promise I’ll catch you up to date with what I’m currently on but it’ll take a few posts. 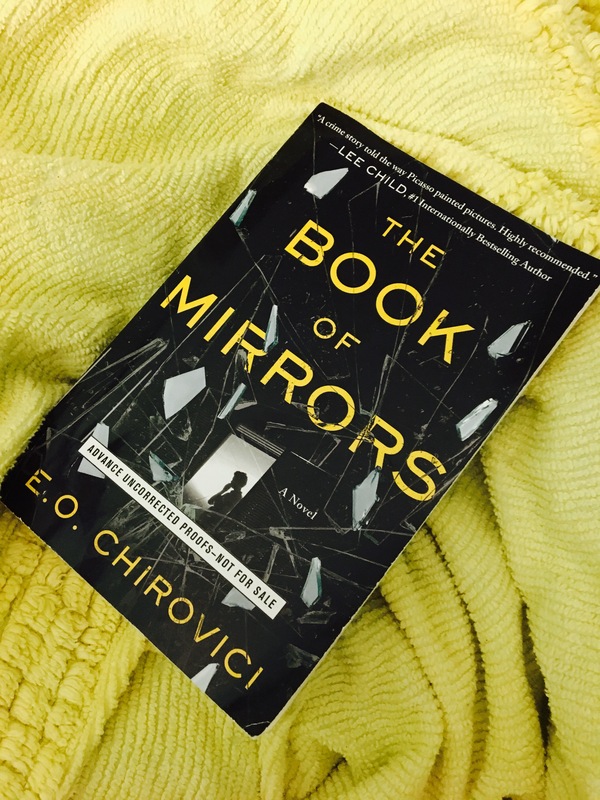 The Book of Mirrors takes us into a maze of a story involving part of a novel being submitted to a publisher that stops short in a very interesting tale. When Peter receives the beginning of The Book of Mirrors he finds himself incredibly intrigued with the author’s (Richard Flynn) tale. Richard begins to tell the story of his first love twently plus years ago and their friendship with a man who ends up being murdered. Peter attempts to find Richard to read the rest of his story only to be told he had recently passed away. Peter beings to wonder what truly happened to Richard’s murdered friend and how he met his demise. So he hires John Keller to investigate what really happened and if Richard was the person to cause this horrible act. The Book of Mirrors is 273 pages long and took me 3 days to read. I give this book a 3.5 out of 5 for its multiple character voices that bring so much depth to this quick novel. I really enjoyed reading this. Thank you to Atria books for sending me this copy. I will absolutely be referring friends and family to read!